"Scientists and Engineers Have Always Told Us That Electric Motors "Convert" Electrical Energy Into Mechanical Energy. Apparently, That's Not True! It Is Now Clear That Electric Motors Can Be Designed To Produce Mechanical Energy AND Recover Most Of The Electricity They Are Running On! This Turns The Idea Of 'Conversion' On It's Head!!" REVEALED: The most complete tutorial ever released to the public on how to design "super-efficient" electric motors. All aspected are covered, from the theory, to the math, to the design methodologies, to the physical model. If you have ever wondered whether real electric motors with a COP>1 actually exist, this presentation will rock your world! 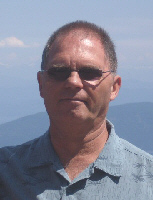 David R. Squires graduated from San Jose State University in 1976, with a BSEE degree. He worked in the semiconductor industry for the next 19 years as a designer. In 1995, Dave switched to the EDA side of the industry (Electronic Design Automation), specializing in high speed (fast SPICE) circuit simulation. In the same year, he began his study of "free energy" physics, with a special emphasis in magnetic field behavior and design. By exhaustive use of magnetic field simulation in the last few years, Mr. Squires has discovered a series of revolutionary principles that allow for the design of advanced electric motors and generators. Designing an electric motor that produces one horsepower for about 200 watts of input electricity is not that difficult in principle. The physics and the mechanics are fairly straight forward. You do have to understand the math and the theory, however. The Alternative Energy field has reached a critical point. On one hand, you've got all of the Establishment Scientists still telling you "this can't be done". And on the other hand, you've got dozens of internet con-artists selling plans for a "fuelless power plant" you can build at home for $200! Obviously, neither of these situations are helpful when you are trying to do real research in this area. My professional specialty is using high power computer simulators to design computer chips. When I started becoming interested in magnetism and the possibility of "Free Energy", it was only natural that I would bring these two disciplines together. Back in 2004, I started doing simulations on every kind of "free energy machine" I could get the plans for. Guess what? NONE OF THEM WORKED! Everything I simulated failed. This went on for years. I did see anomolies here and there, but the simulator never predicted an "energy gain" from the operation of any of these machines. I went back to the books and found in the writings of Nikola Tesla that an "energy gain" was unlikely, but that a "power gain" was quite possible! This intrigued me, and I set out to design my own systems to try to capture this process. That's what I have been doing for the last 5 years. The results have been nothing short of amazing! While electric generators and transformers can be designed to demonstrate these effects, electric motors are the easiest to work with to manifest a "power gain". So, you may be asking, "what is the difference between an energy gain and a power gain?" Well THAT is what I want to show you! Once I understood what was going on, I learned how to use the simulator to mathematically model these effects. You see, the math the simulator is based on ASSUMES that Energy is Conserved and there CAN'T be a gain in Energy. So even if the machine was able to produce these effects, the simulator wouldn't show it! I learned how to break the complex functions of the machine down into simple operations. For instance, I could accurately simulate how much electricity would need to flow through a coil and how much magnetic field that would produce. Next, I could simulate how much mechanical energy would be produced when a magnetic field attracted a piece of iron. And finally, I could simulate how much electricity would be generated when I discharged the magnetic field from my coil again. Once I had each step simulated correctly, I could integrate the data from each step and find out how much mechanical energy I could produce and how much electrical energy was actually dissipated during the transformation. Finally, the computer simulator could tell me if there was a "power gain" in the design. And, THERE ACTUALLY WAS! But the most interesting thing I discovered was this. The amount of mechanical energy the system could produce was NOT directly related to the amount of electrical energy the system used. I started making small changes to the design in order to optimize the energy transformation at each step. Some changes made things better, and some changes made things worse. After hundreds of simulations I started seeing where the design needed to go. The more I learned, and the better I got at convincing people I knew what I was doing, the harder it got to raise money to fund the work. At first, I thought everybody was CRAZY, but I understand now that there is resistance to this kind of technology in the market place. That's why I want to teach you how to do this for yourself!!! Back in 2007, Dr. Peter Lindemann started teaching these principles in his Lecture Series "Electric Motor Secrets". I pick up where he left off and actually show you how to solve the design problems. These include "back EMF" management, minimizing input voltage, minimizing changes of inductance during torque production, maximizing electrical recovery, and a host of other details. The end result is an electric motor that produces a lot of mechanical energy while dissipating very little electrical energy. This advantageous energy transformation is possible in well engineered designs and becomes the "Power Gain" in the system. But let me make one thing perfectly clear. No electrical laws are being broken here. These Advanced Motor Secrets use the same math and magnetic theory as ordinary electric motors. You just have to know what you are looking for to find it! First, I'll show you exactly why ordinary electric motors cannot be improved beyond their current state of development! Second, I'll show you what design changes are necessary to overcome these problems, and why they are so important in Advanced Motor design. Third, I'll show you how to lower the electrical energy input while maintaining the mechancial energy output at a high level. And Finally, I show you how my computer simulation method works, and how I used it to solve each of the technical problems to arrive at a possible design for a TRUE, Free Energy Electric Motor! Of course, my lecture covers much more than that, but those are a few of the highlights. The best part is that all of these methods have ALREADY been tested in the Real World. It's not just Theoretical. I'm actually going to SHOW you how it is done! LET'S FACE IT, THESE ADVANCED MOTOR SECRETS ARE PRICELESS! IN FACT, THEY HAVE NEVER BEEN PUBLICLY DISCLOSED BEFORE! BUT, THEY HAVE ALSO BEEN FROZEN OUT OF THE MARKET, SO I CAN'T PATENT THEM EITHER. NORMALLY, I CHARGE $150/HOUR FOR MY CONSULTING WORK, SO THIS LECTURE AND DEMONSTRATION IS WORTH THAT, AT LEAST! BUT JUST TO SWEETEN THE DEAL, I'LL ALSO GIVE YOU UNLIMITED ACCESS TO ANY FUTURE UPDATES, AND ANY EXTRA BONUSES THAT MAY BE ADDED TO THE DOWNLOAD PAGE AT ANY TIME. Get your hands on Advanced Motor Secrets right now. 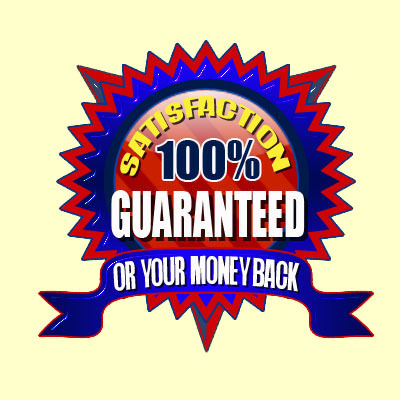 You have 60 days to check out Advanced Motor Secrets -- risk free! Get Your Hands On Advanced Motor Secrets Now! Dave, I'm ready to add this incredible video lecture about Advanced Motor Secrets to my library right now! I can start enjoying and benefitting from the knowledge right away. THIS IS A 514MB WMV VIDEO THAT IS COMPRESSED IN A ZIP FORMAT. NEED AN UNZIPPER PROGRAM? 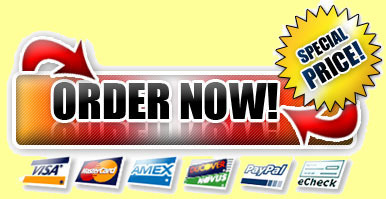 ON THE DOWNLOAD PAGE, WE GIVE YOU A LINK TO A FREE ONE! 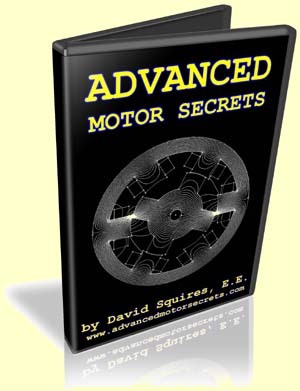 Get Advanced Motor Secrets right now and study it carefully. Then decide if this lecture doesn't share the most straight up information on why electric motor efficiency can be radically improved at ANY price!